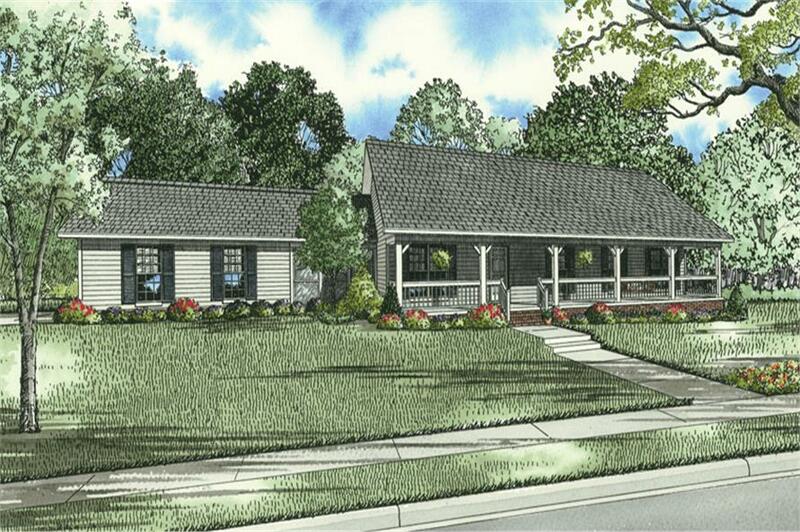 This lovely Country style home plan with Ranch influences (House Plan #153-1744) has 1800 square feet of living space. 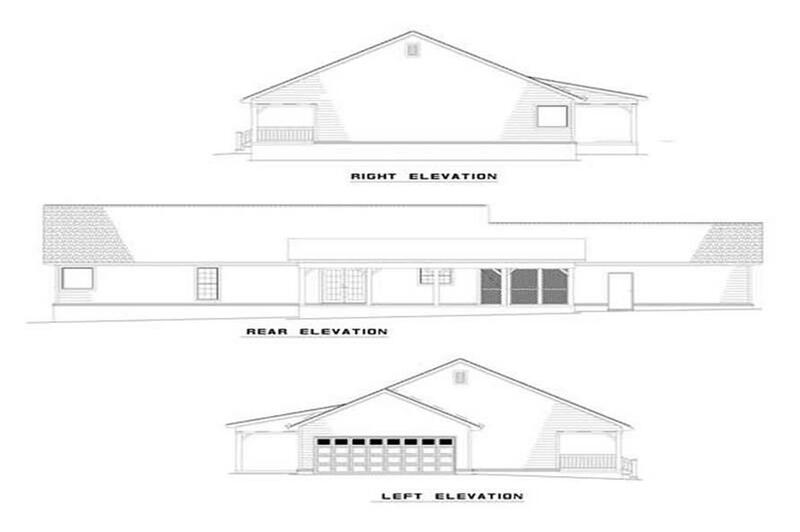 The 1 story floor plan includes 3 bedrooms and 2 full bathrooms. The first obvious feature is the home’s large covered front porch. Enter the home, and be greeted by the great room, with its impressive vaulted ceilings and cozy fireplace. Straight through the great room, you enter the formal dining room, which joins the wonderfully equipped kitchen. Joining both rooms together is the useful peninsula with a breakfast bar. The kitchen has access to the screened-in porch, which then opens to either the outdoor rear grilling porch or the spacious two-car, side-entry garage. On the opposite end of the home plan, you will find the luxurious master suite. The suite is not split from the two other bedrooms, which is perfect for a growing family. The master suite features wonderfully high vaulted ceilings. It has an ensuite master bathroom with his and her sinks and a large whirlpool tub. The bathroom also houses the large master walk-in closet. The master bedroom has access to a home office. Separated from the rest of the house, this office is very private and quiet— perfect for getting the job done.